中文版 – Open Distro for Elasticsearch 0.8.0 is now available for you to download and run. Release highlights include support for Elasticsearch 6.6.2, Kibana 6.6.2 and various minor enhancements and bug fixes for the plugins. The alerting plugin has been updated to the latest Kotlin version 1.3. The SQL plugin index pattern queries have been fixed in the JDBC driver. More granular master metrics have been added to the Performance Analyzer. Please see the details in the release notes for SQL plugin, Performance Analyzer, and Alerting plugin. Updating your Docker image to version 0.8.0 is straight forward. Please follow the installation and configuration instructions in the technical documentation. Make sure your docker-compose.yml file specifies the latest version 0.8.0. The distribution is also available as RPMs to install and run with. With this latest release, now is a great time to get involved in the Open Distro community. Give us your feedback, ask questions, file issues in Open Distro for Elasticsearch on GitHub; raise a pull request or file a bug. We want to hear from you! If you’re interested in organizing an Open Distro meetup, DM me on Twitter (alolita@) or send email to opendistroforelasticsearch@amazon.com. 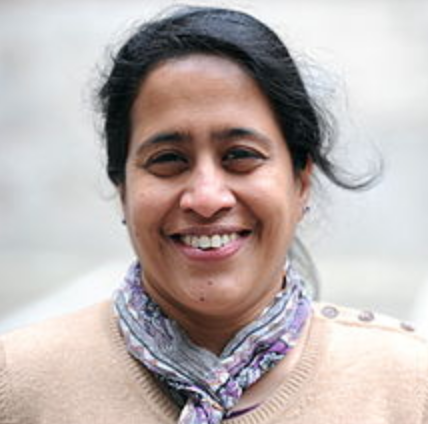 Alolita Sharma is a Principal Technologist at AWS. She's an expert in internationalization and applying deep learning for natural language processing. She has led several engineering projects and teams at PayPal, Twitter, Wikipedia and IBM. She serves on the board of Unicode Consortium, is an invited expert on W3C and ECMA workgroups and has been on the board of the Open Source Initiative. She speaks internationally on open source, innersource, web and language technologies, deep learning and open standards such as Unicode. You can reach her on Twitter @alolita.